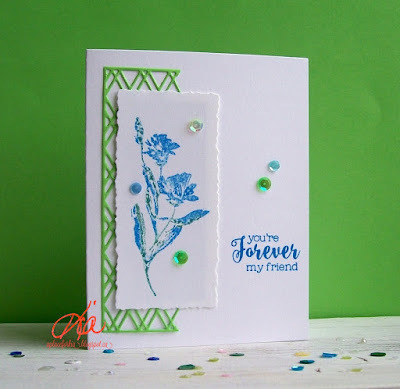 I joined in for the Inspiration Challenge at Splitcoaststampers today. I had myself a little giggle when I saw the site we were to visit, which was all about Wall Plates. I have had these since the mid 90's when I attended a Craft Fair in North Vancouver. Mine are done by Nancy O'Toole, a very talented Vancouver artist. I first bought the print and switch plate for my bathroom, then went back and bought plates for every switch and plug in my house. I still use them today, and below is my original purchase, still in my bathroom some 21 years later. This is the inspiration for my card. I coloured with markers and steamed before stamping. I did cut my partial diamond background and attached my image with some narrow foam strips. Added my sentiment, which I stamped 3 times with the help of my personal assistant, MISTI, and added a few sequins to finish. Thanks for having a look today. This is my bathroom print and switch plate, a little dull as I did not use my flash. 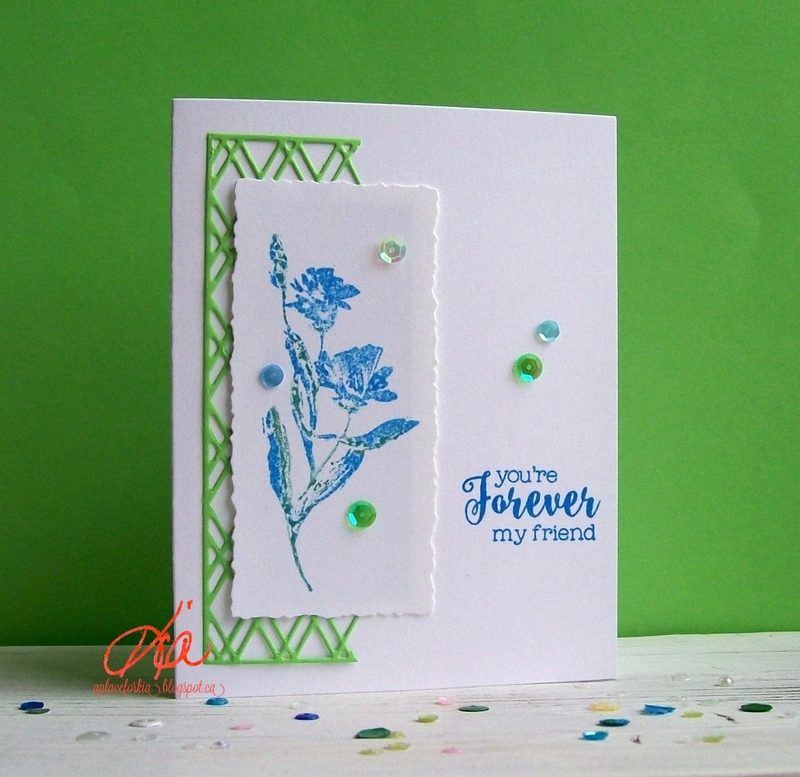 Oh, Kia, what a beautiful card and a perfect inspiration card using that switchplate! And what a beautiful set that you bought for your whole house. Isn't it fun to do something like that? I love the artwork, so I can see why you did that. 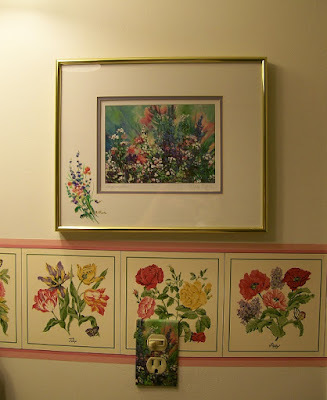 But truly, I love your card and love the die under the floral focal image. Beautifully done, sweet friend! Hugs!